Began life in 1913 as South Wales and Monmouthshire School of Mines. In 1949, became Glamorgan Technical College and, nine years later, Glamorgan College of Technology. 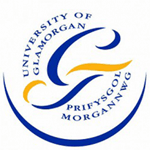 In 1970 became Glamorgan Polytechnic and in 1975 the Polytechnic of Wales, gaining university status in 1992. The new Cardiff School of Creative & Cultural Industries will provide a platform for a comprehensive mix of teaching and research in the theory and practice of media, design and the arts. Glamorgan is home to the Welsh Institute of Chiropractic, one of only two institutions in the UK offering Chiropractic studies. Main campus (and nearby Glyntaff campus) located in Treforest, Pontypridd, 19.5 km north of Cardiff. Cardiff School of Creative & Cultural Industries located in the heart of Cardiff’s city centre. Excellent road, bus and train links. Railway station adjacent to the university, with trains every 15 minutes.